Do you have a pile of off cuts after the building project? Do you stockpile tins and containers after every beverage you drank? If the answer to either of these questions is yes, you might be interested in getting some cash for scrap metal. Over the recent years, there has been a steep downfall in metal costs which was particularly painful for metal industry. This setback has lead to speculations and forces many people to hold onto material, waiting for better prices. Rather than amassing tins, containers and shred, follow these easy techniques, to make the most of the scrap metal price. 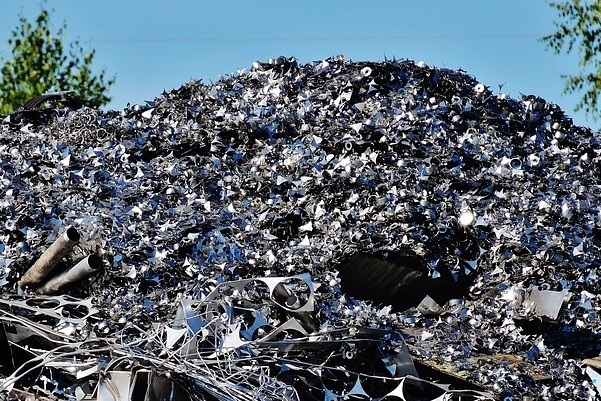 Different companies may purchase combined loads of metal scrap and do it everyday, but this is because their business is organized to sort this material. However, if you want to maximize the profit from metal recycling, it’s always more preferable to sell a clean load. Establishing a system in your store where tool steel and tungsten carbide end up in different bins is a simple way to ensure the price is always the highest. As a result, you will speed up the process, save money for sorting your metal scrap at the facility and get cash in your hands ASAP. Before visiting the recycling facility, it is quite sensible to do a little research and find out an estimated value of your scrap. It will let you make sure whether you’re getting a good deal or not. Just surf the Internet for the approximate prices in your area and the type of metal you have. Also, ask your company to see the readout or detailed sorting report. If you cannot identify where is brass or aluminium, our previous blog post would be useful for you. There are lots of processes that will lead to grease, water, or any other contaminants mixing with your metal scrap. While the value of the base product is going to stay the same, cleaning fees can lower the final amount. This is more true in steel turnings or titanium scrap. Just cover the scrap with a tarp if it’s outside or remove it from the area that gets polluted the fastest in your work space. Unfortunately, there is no more hurt by theft industry then metal recycling. It’s difficult to take full advantage of the scrap metal prices when it ends up in the pockets of staff members or clients. Maintaining the most valuable types of metal in secured containers or cages is a worthwhile investment. Keeping this material under surveillance and also far from high traffic areas of your work-space is likewise going to help significantly. While storing your material, think about the transportation and how to make it easier for a recycling facility. The most optimal alternatives are metal or plastic drums loaded onto a pallet, with maximum 3,000-4,000lbs weight on it. Freight costs are dependent on volume as well as weight so if you can lower volume (size), you will be more likely to get a better offer from a recycling facility. If you want to make the most from the scrap metal price, it’s all about using some common sense and doing your research. iSustain Recycling will help you handle the difficult problem of developing a metal recycling program, putting money back into your pocket in the process. We differentiate ourselves from our competitors by properly educating you on the various grades of metal scrap, and the market for those products. To find out the most optimal solution – give us a call! Previous Post New China’s Contaminants Thresholds In Figures Next Post How To Sort Plastic For Industrial Recycling?